As of the recent Windows 10 1511 update Office 365 Pro Plus 2016 no longer activates, in fact when you try to activate it you end up with a cryptic Http Bad Request error after logging in. These few fixes can help get your users back up and running like it did for us. Being able to visualize and manage your data as soon as it’s reported is every organizations dream. In this brief overview, let’s take a look at a few of the things in Power BI on Office365. With Microsoft’s announcement of the new E5 plans, Micah Linehan, Now Micros’ Cloud Sherpa evaluates what this gives us. I have had the pleasure over the past several of months to be a part of the Skype for Business closed preview, and there are a few things that I am excited to share about the experience I have had so far. There are a bunch of great features but more importantly the refresh of Skype Voice in the office environment. During a recent Microsoft Office 365 migration, Now Micro’s Cloud Sherpa, Micah Linehan, encountered a tenancy migration where he had to work through reinstalling Exchange on premise. In this particular case, a vase majority of users had previously been created without Exchange. As Micah moved forward and installed Exchanges, the users were directory synchronized; however, a remote user in Exchange was not. He put together the following recommendations and best practices for working through these issues, as he found there were few technical resources (articles, blogs, etc.) out there. Hopefully this post will alleviate some of the confusion and ease any off boarding or tenancy conversion issues within Office 365. Now Micro’s Micah Linehan identifies common issues with identities in an ADFS environment and provides insight on how ADFS and directory synchronization actually work. Are the addresses stuck as .onmicrosoft.com and not switching? Are staff unable to add in alternate email addresses? What about directory synchronization errors? Wondering if Office 365 is Right For Your Organization? Now Micro’s Micah Linehan Lays Out the Basics to Get You Started. 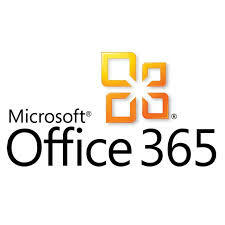 Microsoft Office 365 is a high availability hosted environment for Exchange, Lync, and SharePoint. They are all nested under a single environment that can be managed almost identically to an on premise environment without the headaches of patching, server maintenance, storage management, database corruption, and all others that can arise in an internal environment.